1: The Old Main Line - 1 e4 e5 2 f4 exf4 3 Bc4 Nf6 4 Nc3 c6 5 d4 d5 6 exd5 cxd5 7 Bb3! 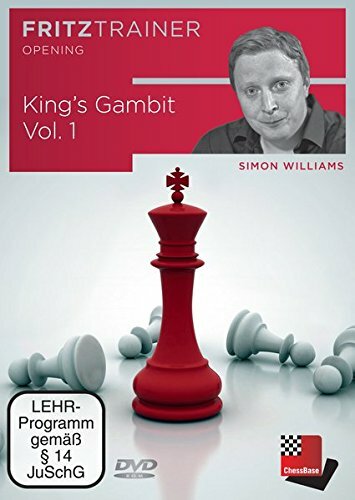 In this system I recommend that White places his King'side knight on e2! This is quite a unique and new idea. 2: The New Main Line (Shaw's variation) - 1 e4 e5 2 f4 exf4 3 Bc4 Nc6! Here I recommend both 4 d4 Nf6! 5 Nc3 Bb4! As a solid line for White and also 4 Nf3 g5!? 5 0-0 with more aggressive play from White. 3: The Bogoljubow variation - 1 e4 e5 2 f4 exf4 3 Bc4 Nf6 4 Nc3 Nc6 with ...Bb4 to follow.